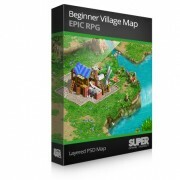 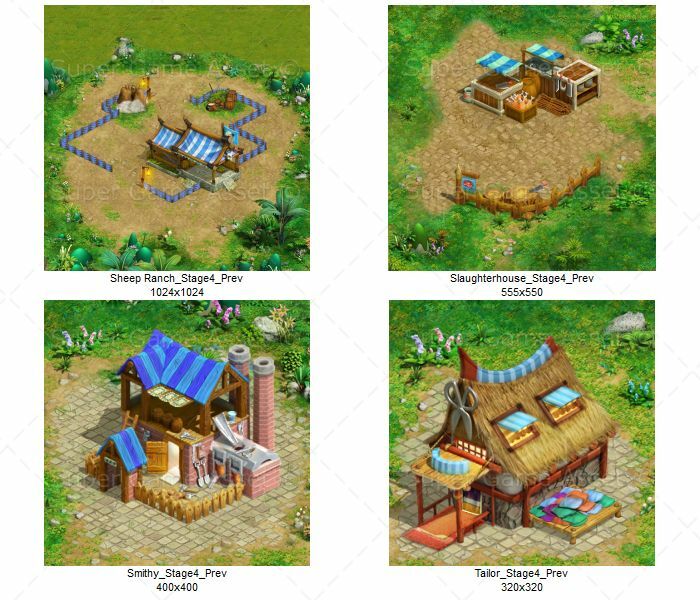 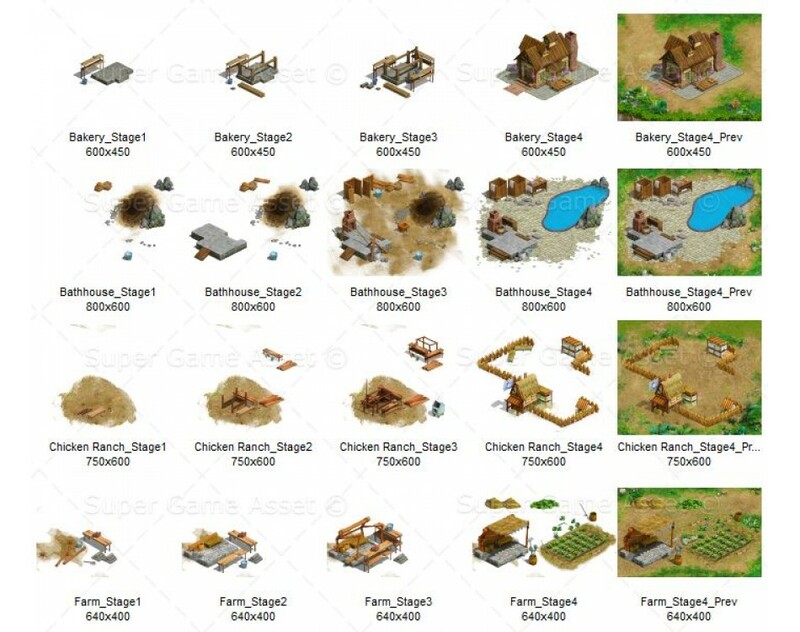 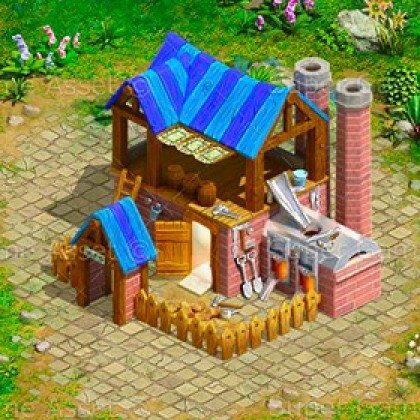 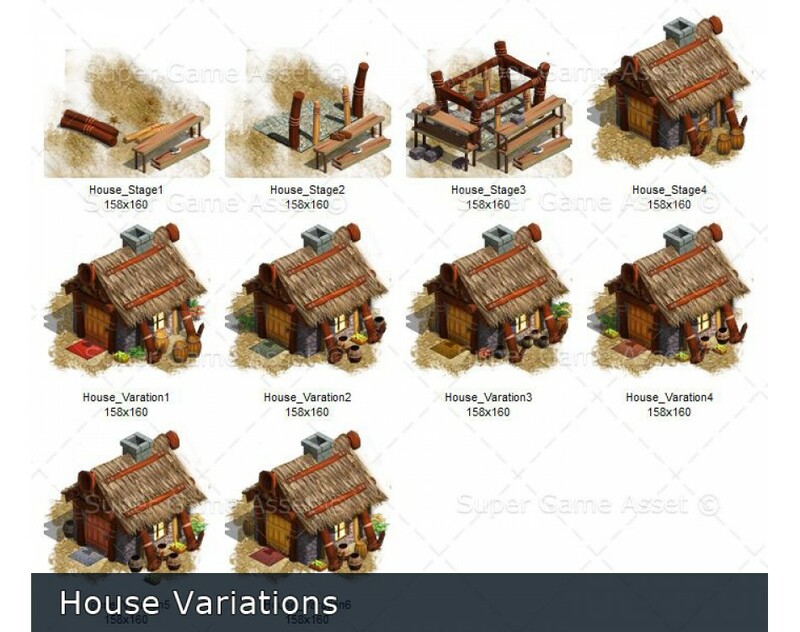 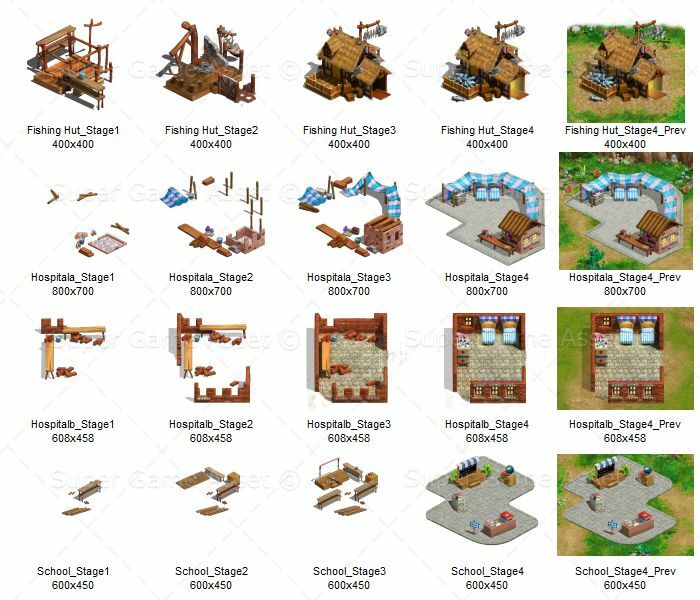 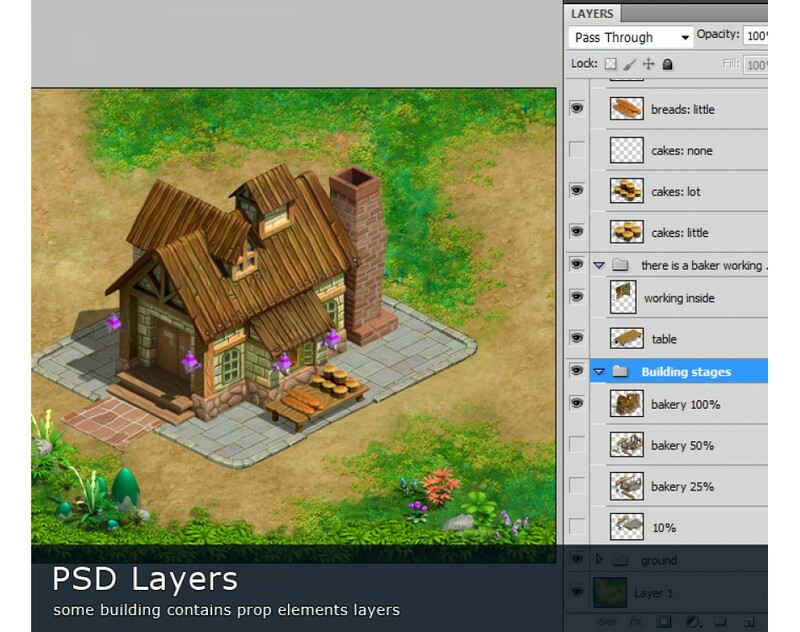 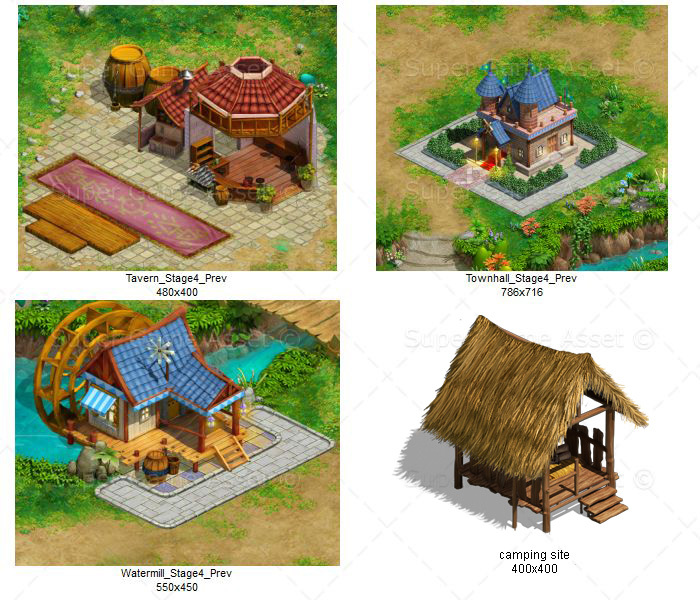 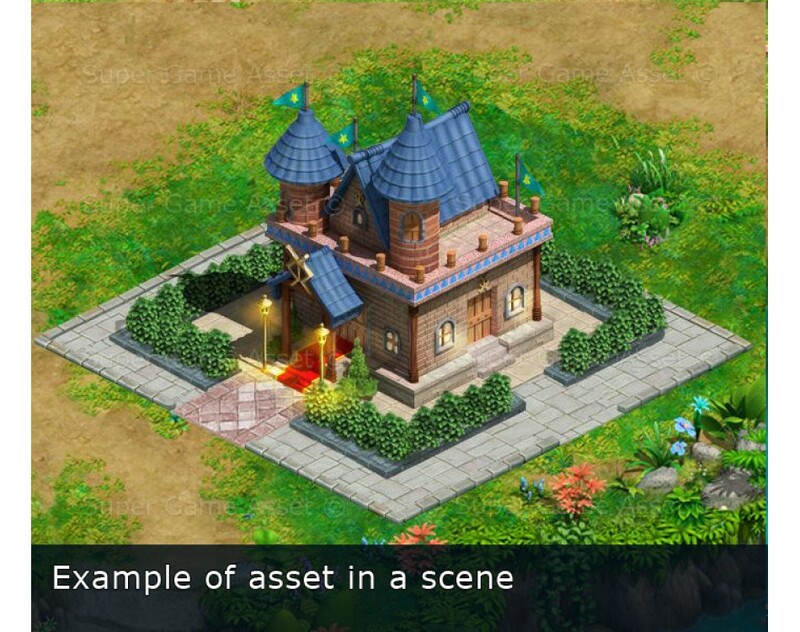 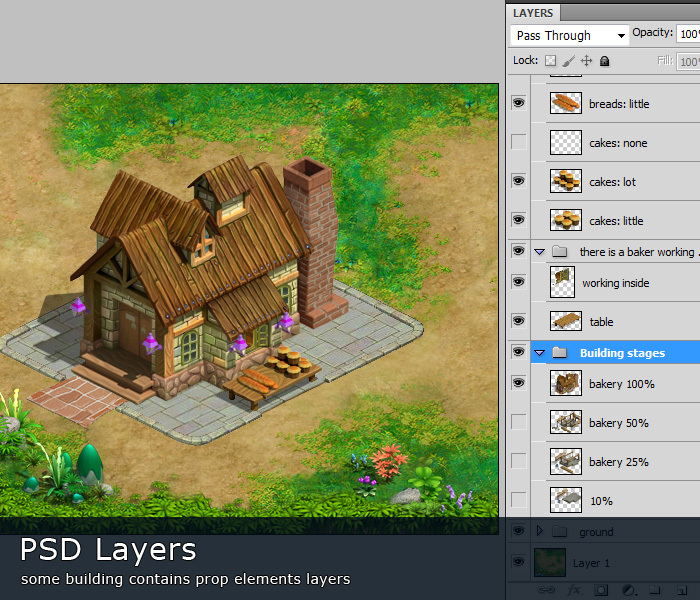 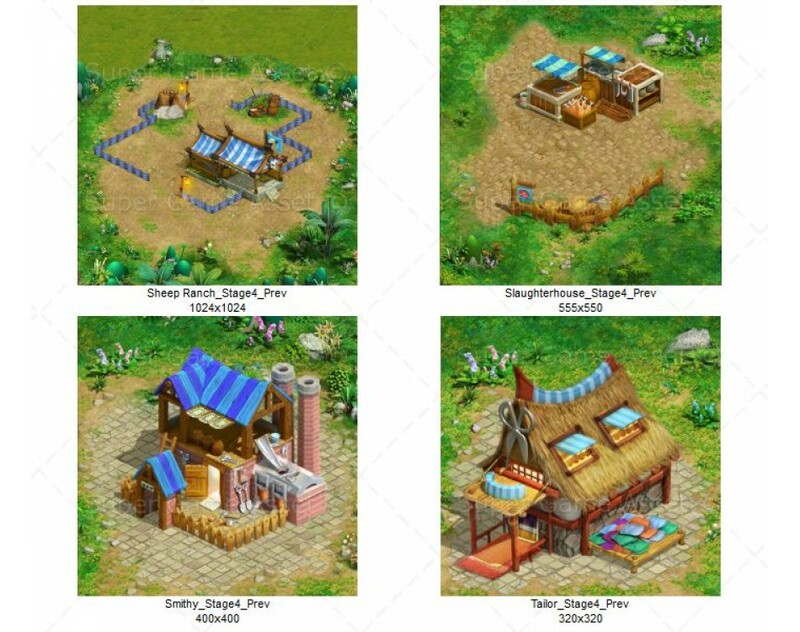 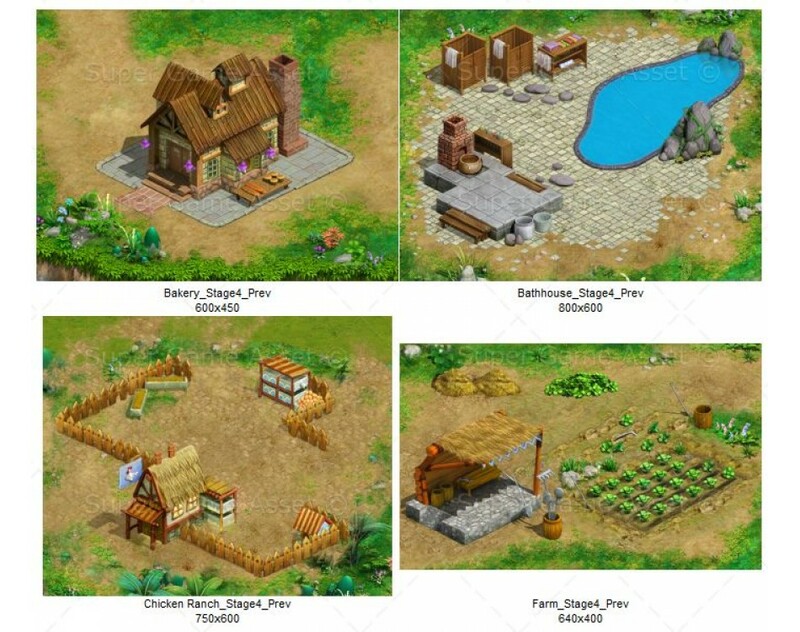 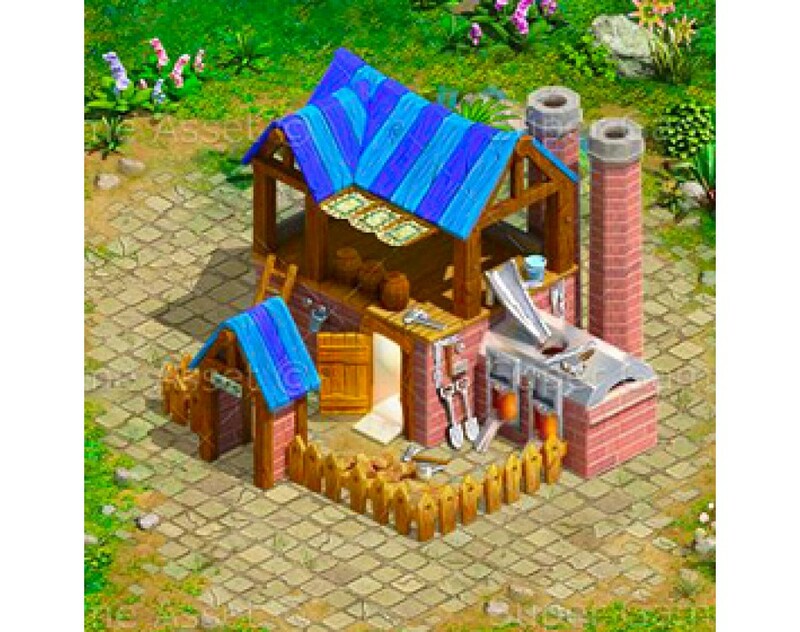 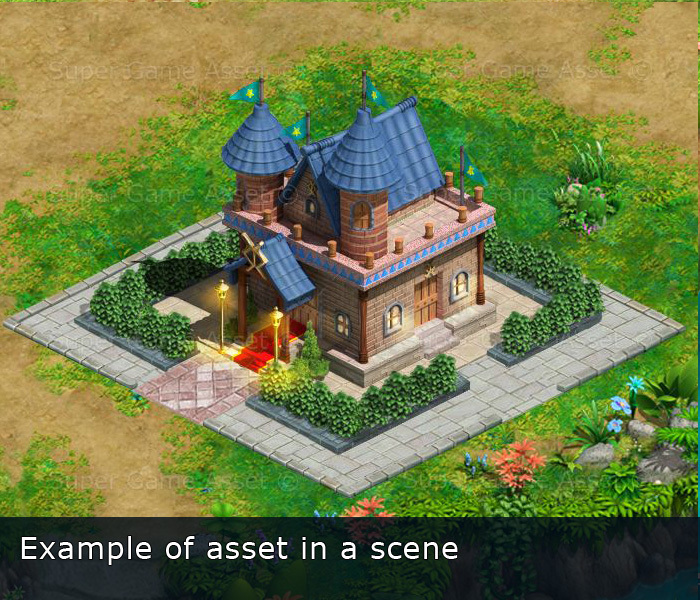 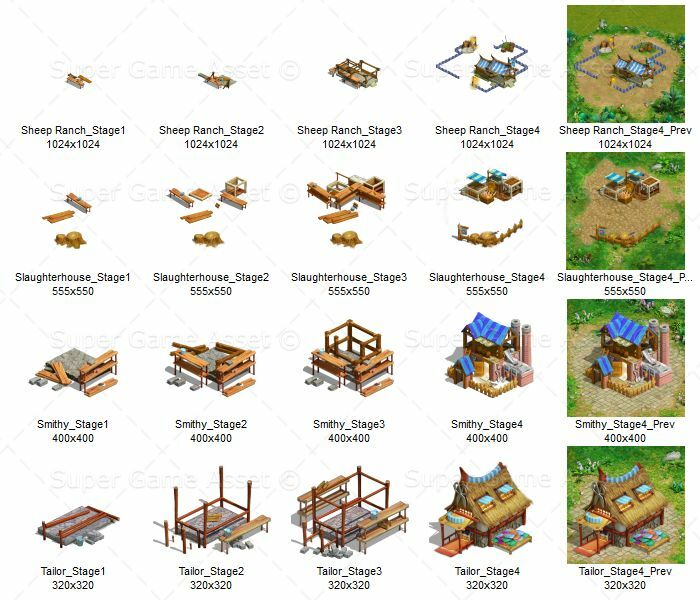 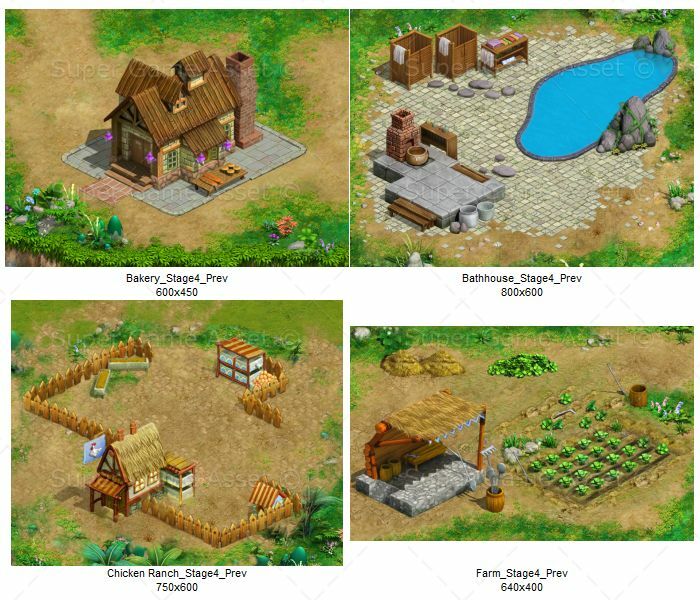 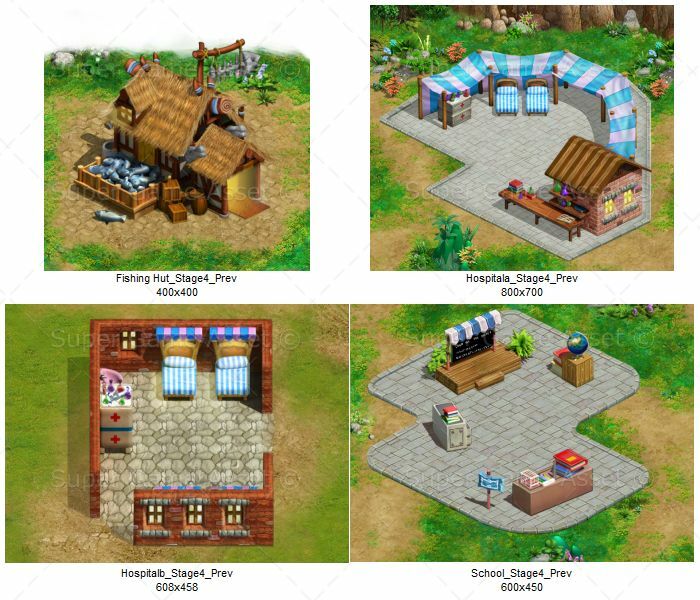 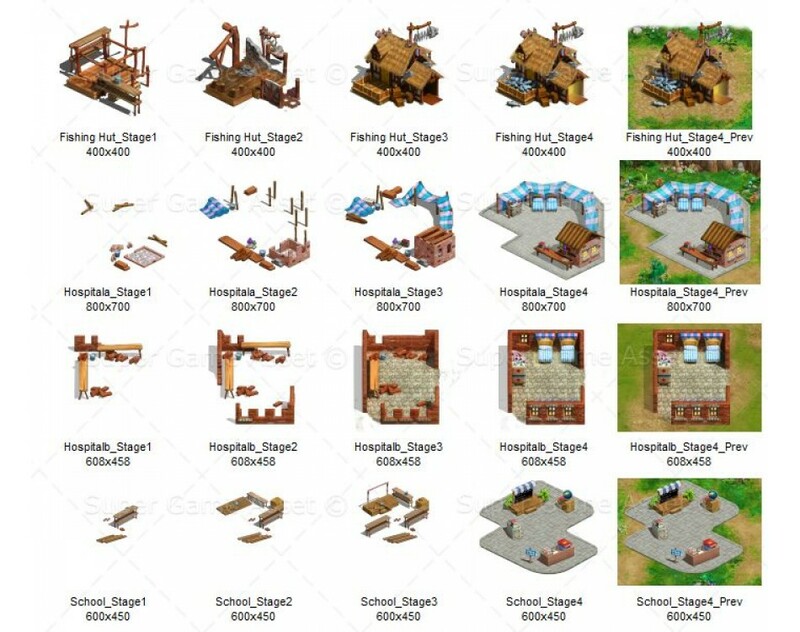 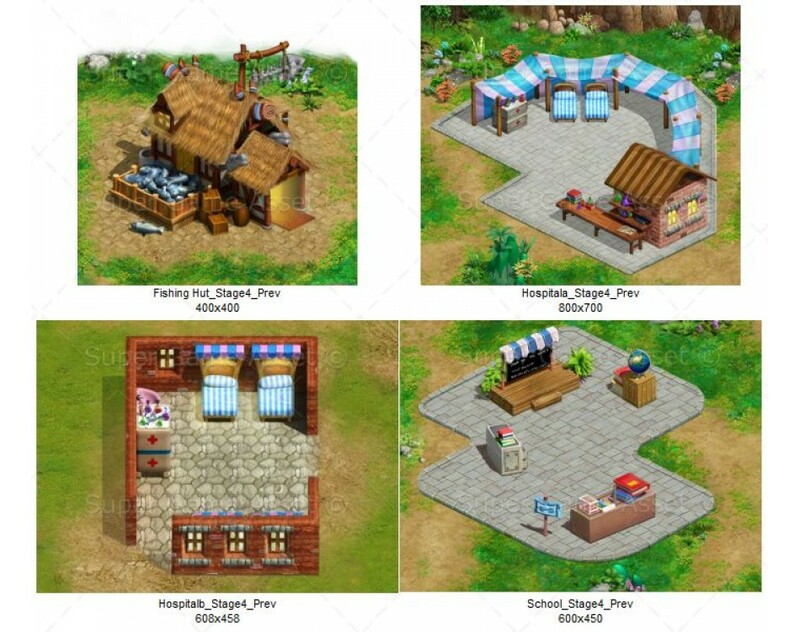 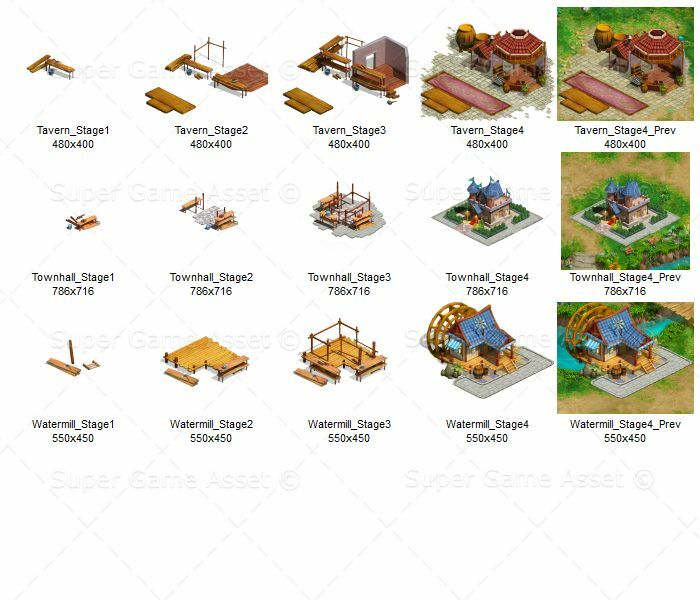 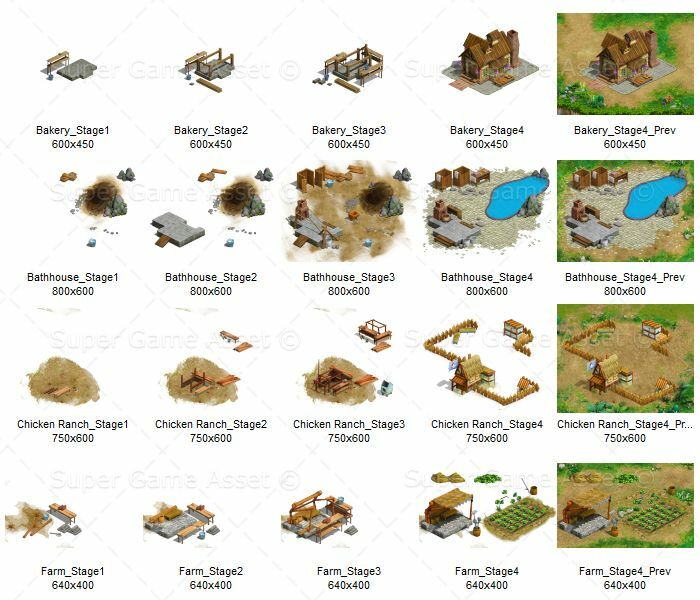 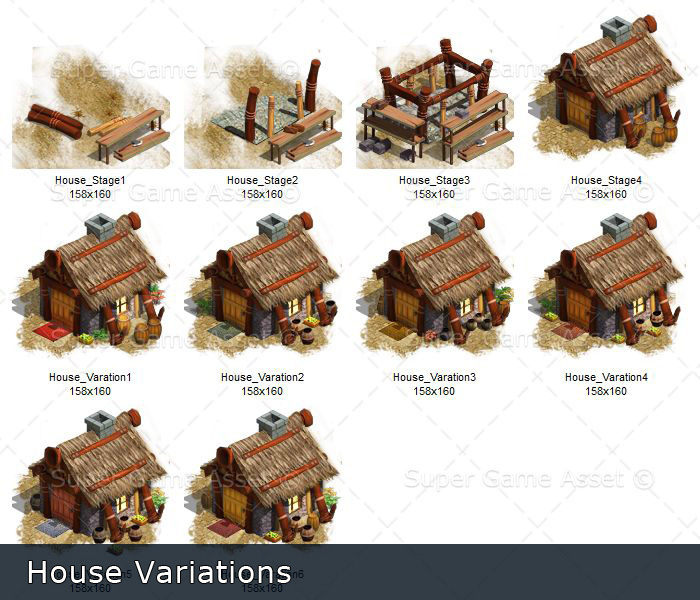 Village Buildings set contains various functional buildings for a village game, rendered in isometric view, suitable for casual, mobile, RPG, building simulation games. 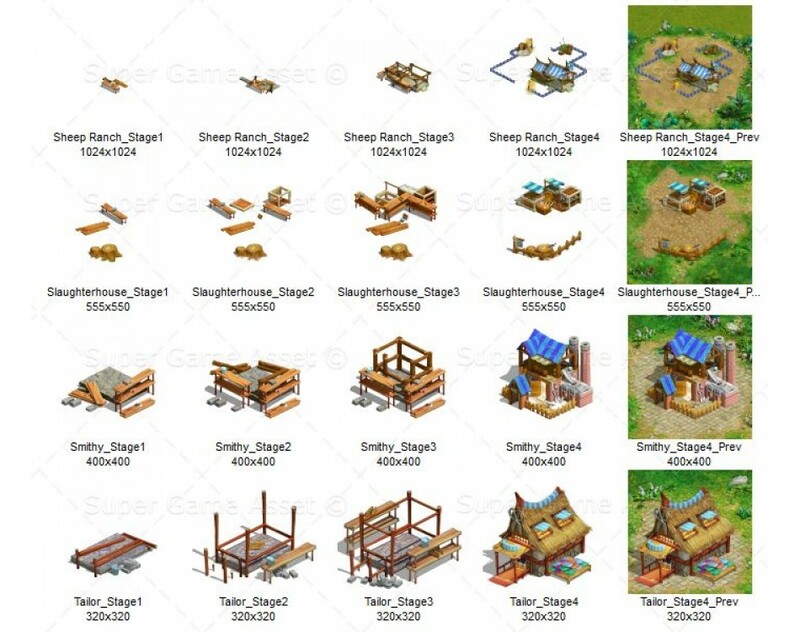 Each building includes different construction states and props. 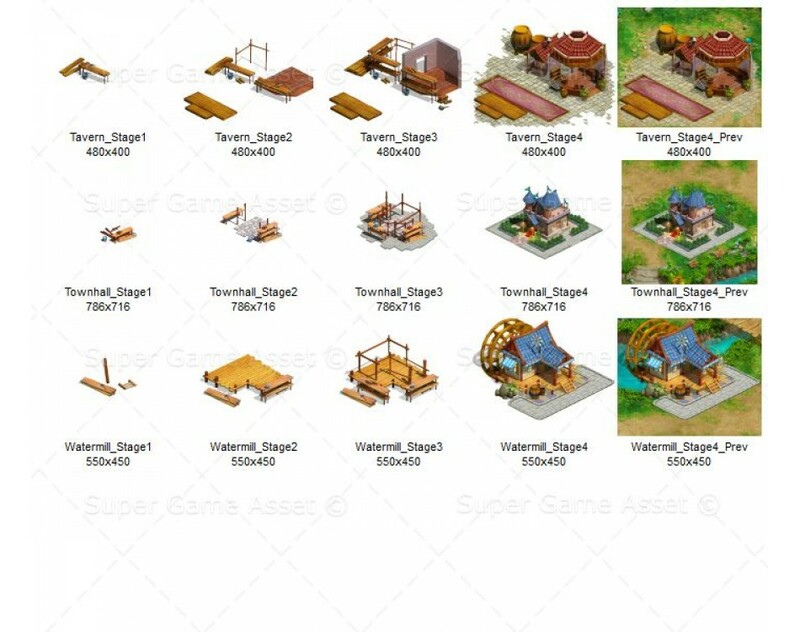 See screen shot for detailed list of each building and their sizes.